3rd Friday of every month. By appointment only. 10 Clinics a year are held in various places around Tarrant County. 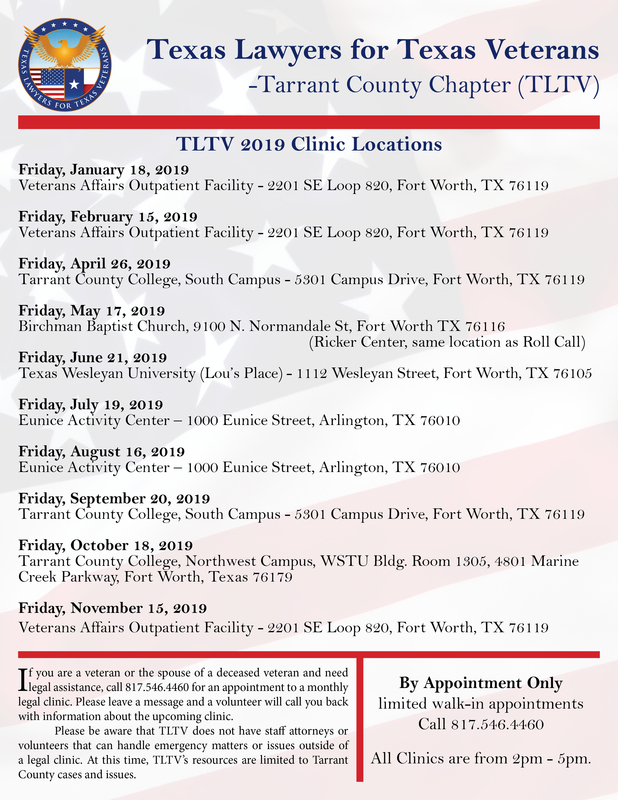 Free legal counsel and advice are available at the legal clinics to veterans and the surviving spouses of deceased veterans, without regard to financial eligibility. After financial evaluation and qualifications, a veteran’s legal matter requiring representation the program case placement subcommittee makes every effort to locate a volunteer attorney to represent the veteran pro bono. The program does not have staff attorneys that take cases. All cases are referred to volunteer attorneys; therefore, the program cannot guarantee that all eligible cases will be placed with an attorney for representation. The program cannot take cases that have close deadlines or are considered emergencies; it can take up to 4 to 5 weeks to place a case with a volunteer attorney. *Financial guidelines apply for free (pro bono) representation on a legal matter referred outside the clinics. 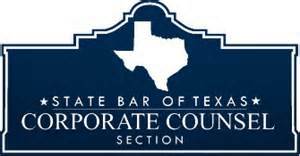 Attorneys volunteer their time and services to make an evaluation and decision on whether to represent a veteran in their particular case, and the Tarrant County Bar Association makes no guarantee that an attorney will agree to take any particular case. The number of volunteer attorneys taking a pro bono case is limited, and the cases will be evaluated on the complexity and estimated time of representation.